Happy Friday! Hope all your weeks were not as awkward as mine! Does anyone else feel like every first few days in a new setting is super awkward & the days pass disjointedly as you try to get your bearings? Anyway, the week is almost over so hopefully the awkwardness will pass like a storm we can easily forget about. 1. Favorite Outfit: I'm obsessed with this girly chambray floral dress you may have seen in my last post. 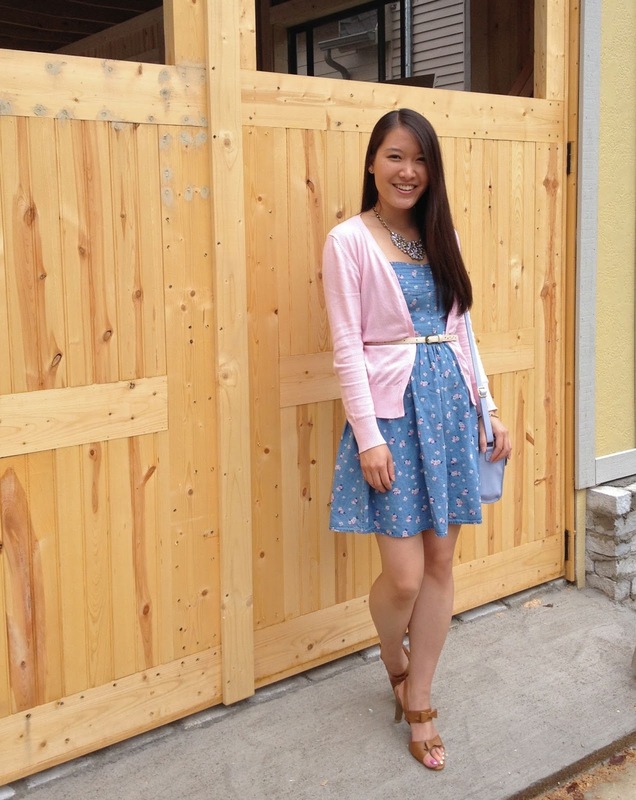 And of course I girlyfied it further with a bubble gum pink cardigan & bow-topped heels. But I love that I can easily transition it into fall with a darker jewel toned cardigan, scarf, tights & boots. 2. Favorite Buy: Adorable $3 bird rings from Pangaea. 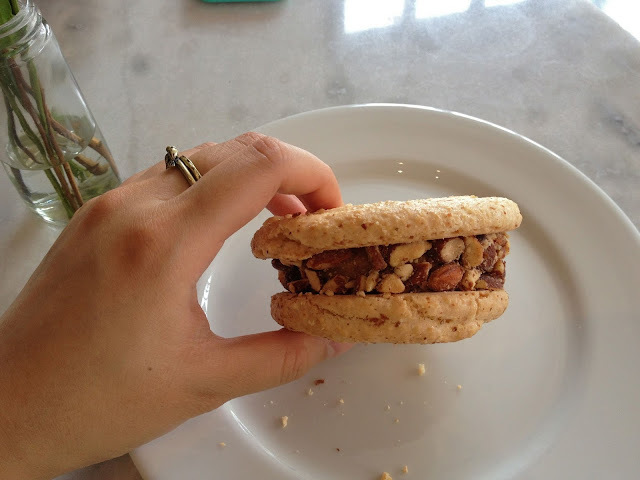 Okay, and also the Jeni's Splendid Ice Cream sandwich I'm holding. 3. 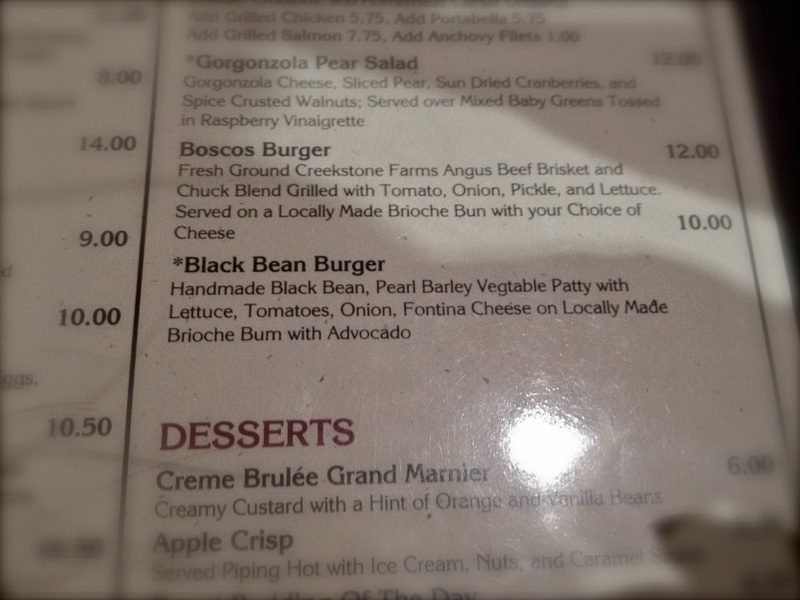 Favorite/Funniest Sight: What's better than a scrumptious typo on a restaurant menu? I do love my burgers on bums. I've heard Brioche bums locally made in Nashville are the most delicious. 4. 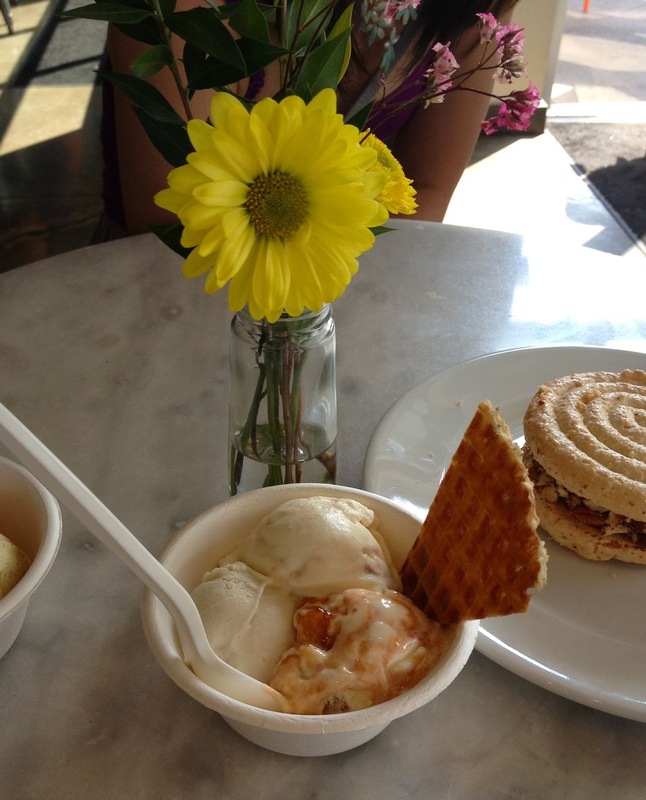 Favorite Eats: Jeni's Splendid Ice Cream v. Las Paletas. I can't decide. My favorite Jeni's flavor was Loveless Biscuit + Peach Jam & at Las Paletas I tried the Canteloupe flavor which I could eat 24/7. 5. Favorite Sound: Matt Wertz released his new album "Heatwave" which is a fun 80s-esque album. One of my favorites off his album is "Get To You" since it's catchy & makes you want to get up and dance. We all need those kinds of songs. It doesn't hurt that his music video is hilarious. Love him. Thanks for reading! 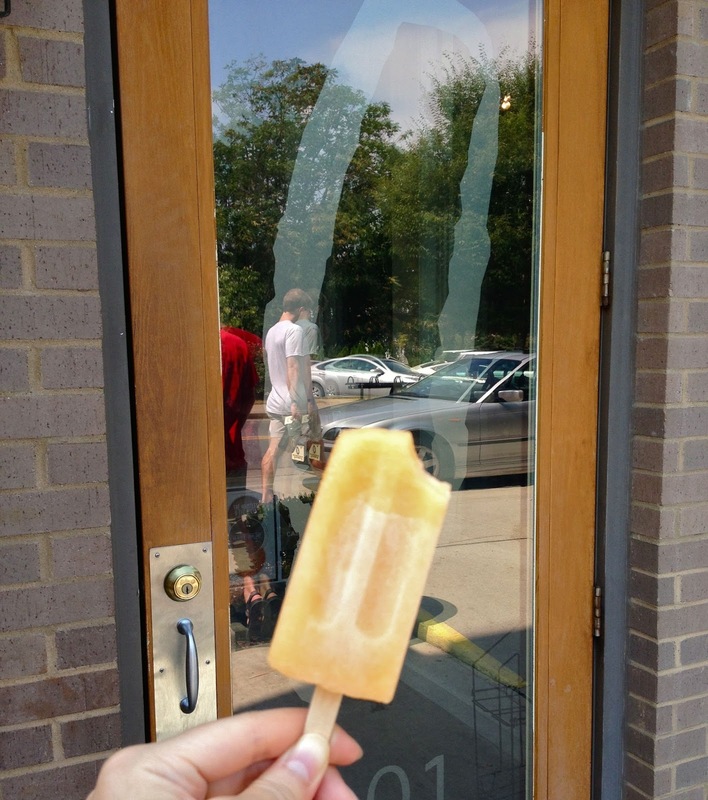 What were your 5 favorite things this past week?